Sell your motorcycle or atv for cash today! Northend Cycle buys hundreds of bikes and ATVs every year. 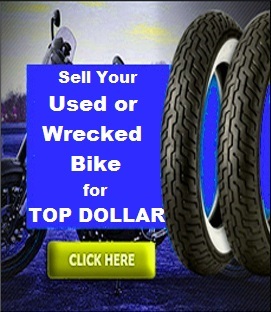 We pay top dollar for your used or wrecked motorcycle. Submit the form above or call 1-800-428-7821. We buy any make including Honda, Harley Davidson, Suzuki, Yamaha, Kawasaki, Ducati, Aprilia, Vicotry, BMW, Polaris and many more. Vintage motorcycles, sportbikes, cruisers, dirt bikes, 4 wheelers, 3 wheeleres, Scooters, PWC Jetskis, UTV, We buy it all!